I just walked inside from a short, sun-dappled walk through the garden. This week, the temperatures have spiked upwards into the mid-nineties. All of a sudden, I’m craving more salads, donning shorts, and seeking shade. Our late-spring lilacs, tulips, and alliums have been replaced with sprawling lemon balm, bright nasturtiums, and flowering salvia. I absolutely love this ebb and flow of the seasonal changes. We’ve also packed every possible place within our yard with tomatoes, herbs, squashes, and eggplants. It’s finally feeling like summer. Even though the fragrant, yet fleeting, blossoms of lilacs have most likely faded everywhere by now, you’ll have to pin this particular recipe for lilac syrup to make next year. 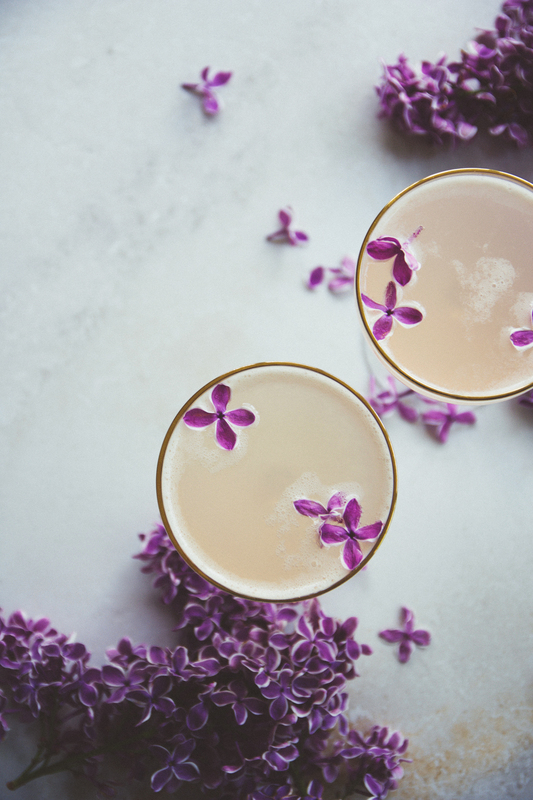 I recently created a Lilac 75, featuring this purple-hued, lilac syrup, for Eat Boutique, a story-driven recipe site, beautifully dedicated to all-things food-gifting. 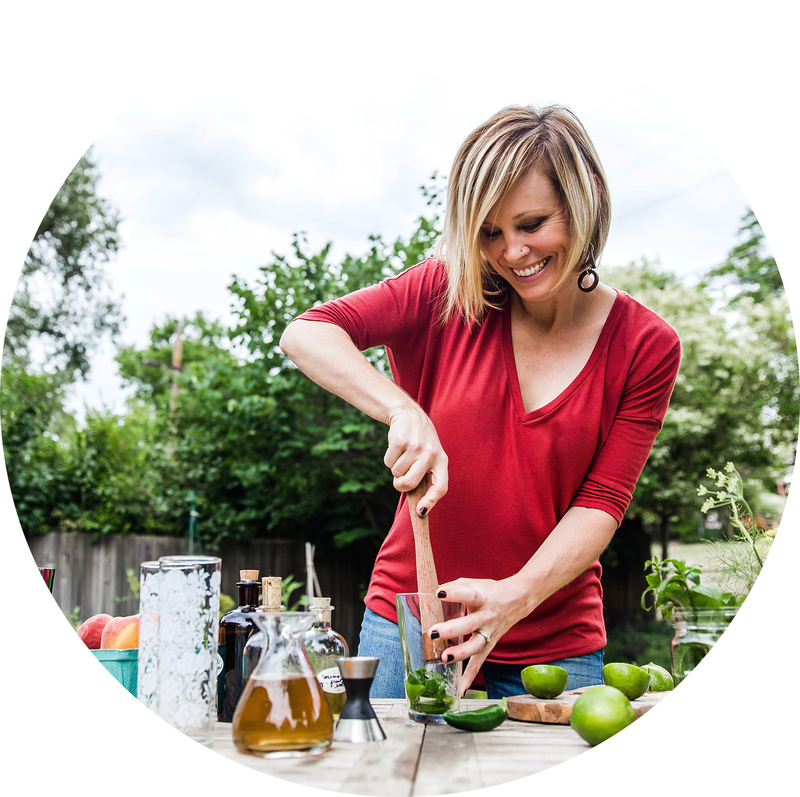 I met Eat Boutique’s founder, Maggie Battista last October, when I attended The Hello Sessions in Portland, Oregon. We immediately hit it off and made a day of hitting the city’s hot spots, along with our lovely, mutual friend, Bobbie. If you’ll recall, I made a version of one of Maggie’s food gift recipes from her cookbook, Food Gift Love, back in December. I adapted her recipe for homemade grenadine and made a celebratory Clover Club cocktail here on the blog. 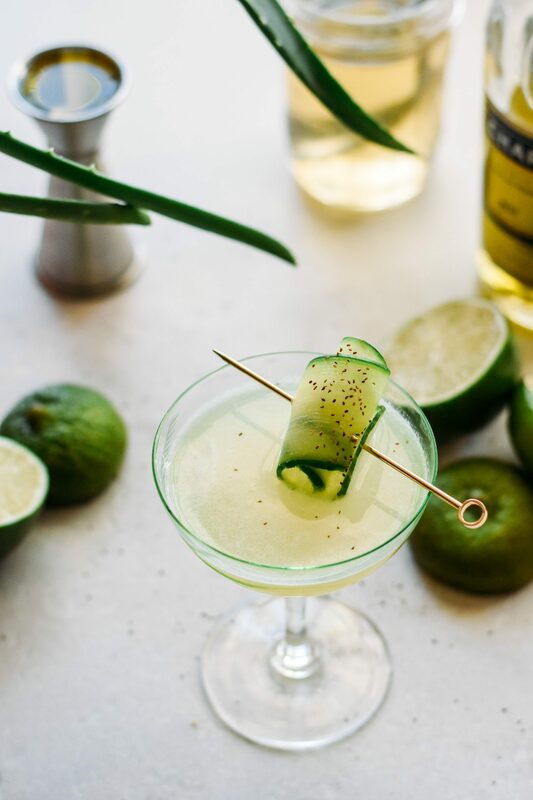 I’m super excited and honored to be sharing even more garden-inspired cocktail recipes over on Eat Boutique in the near future! I’ll definitely keep you posted. 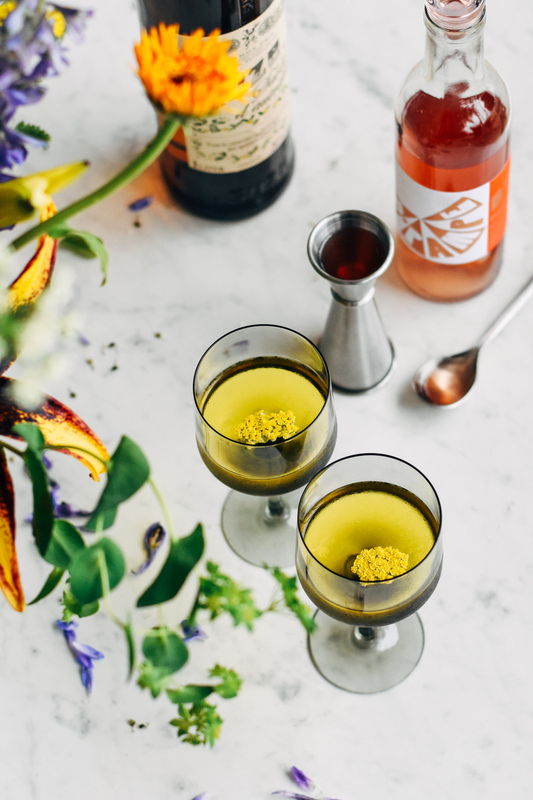 I’ll share the first snippets of the post with you, and then you can find the recipes for both the lilac syrup and the accompanying cocktail, the Lilac 75, over at Eat Boutique. Just follow the link between the lines below. And for further food-gifting inspiration, be sure to follow Maggie over on her gorgeous Instagram, her Facebook page, or her carefully curated, tip-filled Pinterest boards. “Lilac season is such a fleeting, colorful, fragrant moment. As soon as I take in the first lilac blossom of spring, I immediately dream of warmer days, even if there’s still snow on the ground. I think we all do. The last of the lilacs in my garden are blooming, and I want to capture their vibrant aroma, as much as I possibly can. 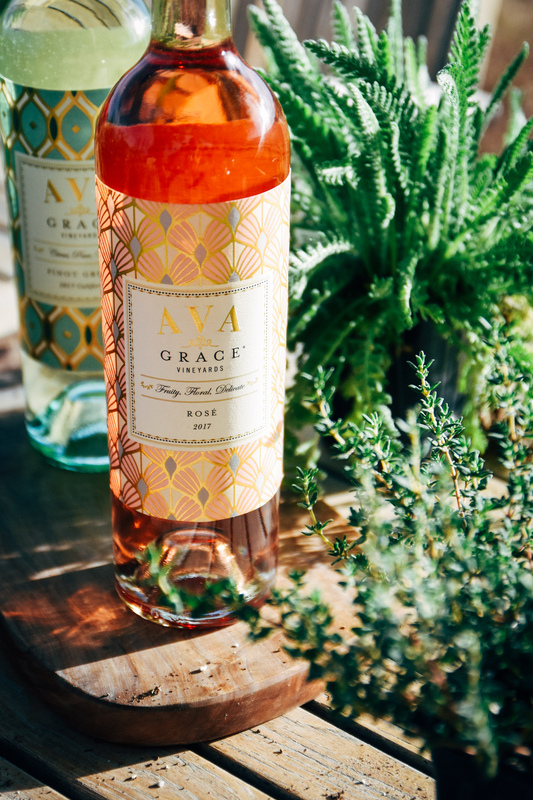 Cheers to a beautiful summer, one that doesn’t rush by too quickly. I hope yours is filled with brilliant flowers, patio soirées, watermelon salads, buckets of chilled rosé, and lazy afternoons spent reading under the trees. Oh, and I hope you are seriously getting ready for another sign that summer is officially here: next week is #POPSICLEWEEK!! 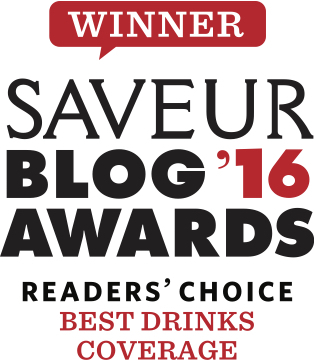 I think there are nearly 100 bloggers participating in this year’s ice pop round-up, hosted by the gregarious and creative, Billy Green of Wit & Vinegar. You’d better believe I’ll have something frosty, boozy, and summery on a stick for you. I’m still tinkering around with a few recipes. It is so difficult to just pick one to post! What a gorgeous post. Lilacs! I am amazed and intrigued. Now where would I find some? Lilacs are my favourite of the Spring flowers. I’ve always loved them, but this year in particular they sort of had me captivated and I found myself actually contemplating snipping a few branches off other people’s bushes (though I never actually did haha). We plan to buy a lilac tree for our garden next Spring, and both lilac syrup and lilac sugar are so high on my list of “things to do with the lilacs” once we finally have them. I LOVE this pretty-looking lilac cocktail Jayme, such a beauty!